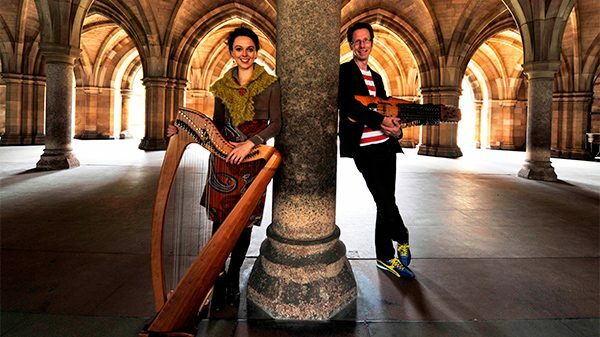 On Saturday 11 November, to celebrate National Harp Day, Scottish Harpist, Catriona McKay together with Swedish Nyckelharpa player Olov Johansson, will perform as part of the Leaves Literary and Music Festival taking place in the beautiful Emo Court at 5.30pm. Playing a fusion of Scottish and Swedish folk music, the duo will be joined by the Music Generation Laois Harp Ensemble for the performance. Catrions McKay and Olav Johansson, Saturday 11 November, 5.30pm, Emo Court tickets are €15/€5 for Music Generation Laois students. Booking through dunamaise.ie or calling 057-8663355. 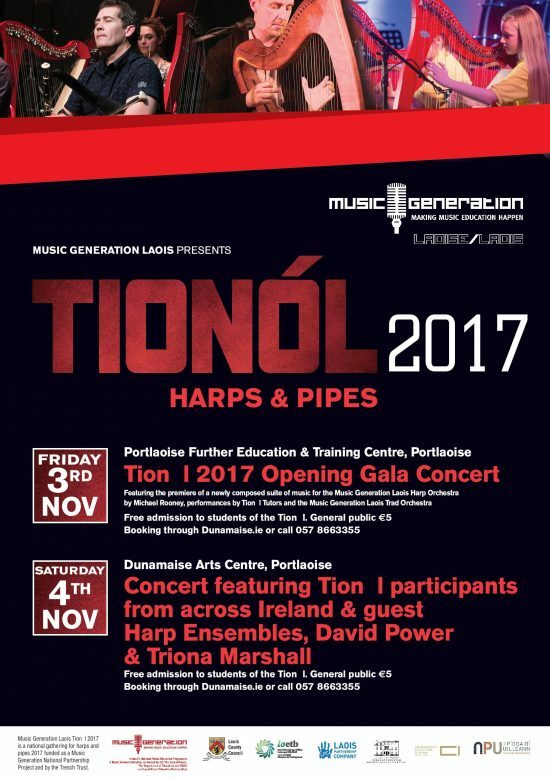 Following on from the success of last year’s Tionól, we are delighted to announce that Music Generation Laois, with the support of the Music Generation National Development Office National Projects funding and the Trench Trust, will deliver a Tionól for Harps and Pipes in Portlaoise from the 3 to the 5 of November 2017. The purpose of this weekend is to bring together pipers and harpists and their Tutors from Music Generations throughout Ireland, for a weekend of workshops, sessions and performances, including an opportunity for students to get workshops from well-known non MG guest tutors including Catriona McKay (harp), David Power (pipes), Tríona Marshall (harp) & Michael Rooney (harp). €70 fee includes workshops and all concert tickets. €60 discounted rate to Music Generation Laois students. To book, email musicgenerationlaois@laoiscoco.ie or phone 057-8664176. 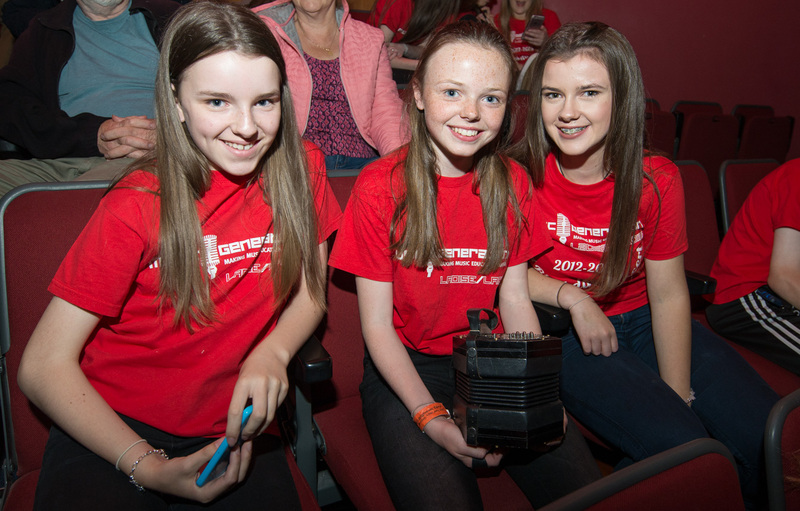 For more information, see Music Generation Laois Tionol Letter and Application Form for Harpers and Pipers Sept 2017. Under 18s will be supervised during break times unless alternative arrangements are made by parents/guardians. Opening Gala Concert featuring the premiere of a newly composed suite of music by Michael Rooney for the Music Generation Laois Harp Orchestra, Tionól Tutors, Michael and June Rooney and the Music Generation Laois Trad Orchestra taking place in the Portlaoise Further Education & Training Centre, Tower Hill at 7pm. Concert featuring Tionól participants from across Ireland and guest harp ensembles in the Dunamaise Arts Centre at 7pm. Closing Student Concert: Tionól 2017 – featuring students from the Tionól taking place in the Portlaoise Further Education and Training Centre, Tower Hill, Portlaoise, 2pm. Admission free of charge, on a first come-first serve basis on the door. Music Generation Laois will be holding auditions for their Junior Trad Group which will be starting this October. The Trad Group will hold weekly rehearsals on Thursdays from 4-5pm in the Portlaoise Further Education & Training Centre, Tower Hill. Entry is by audition only. Please email musicgenerationlaois@laoiscoco.ie with your expression of interest by 12 noon Friday 13 October. Auditions will be held on Thursday 19 October. You will receive an email if you have been selected for an audition. There will also be a mixed juniors class for more recent beginners. REQUIRED STANDARD: You must have some experience in an instrument to enroll in the Trad Summer School classes. Those of a more junior standard will be placed in the mixed juniors class, and this will be decided by the instrumental tutors. 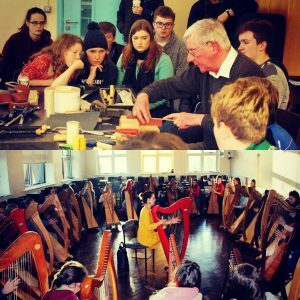 Limited number of harps are available for Music Generation Laois harp students. 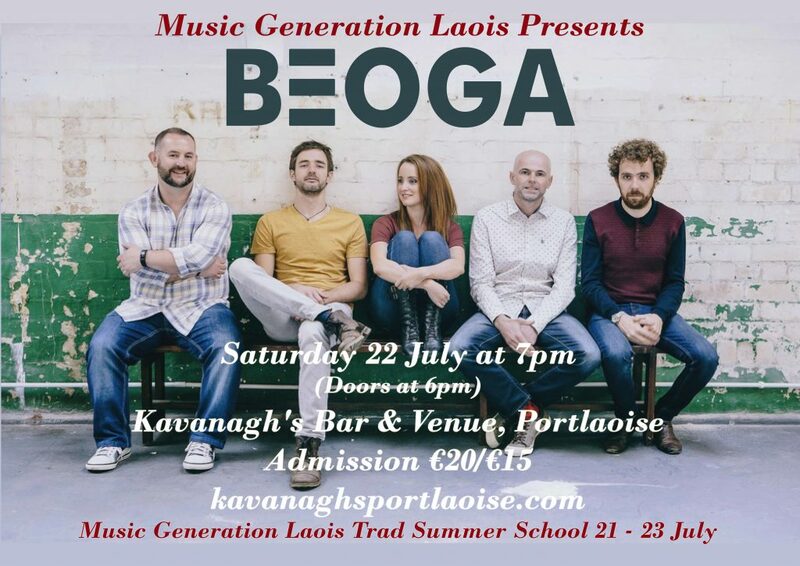 Concert featuring top-notch traditional musicians teaching at the Summer School, and a performance by the Music Generation Laois Trad Orchestra. Finale concert showcasing students from the Summer School. Free admission, donations welcome.